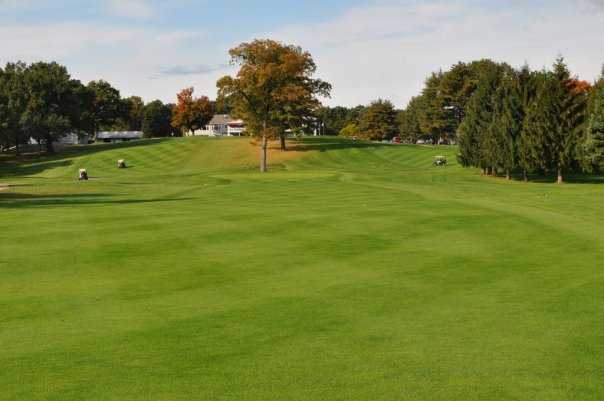 When the Directors of Ludlow Country Club in western Massachusetts became concerned about a downward trend in membership, they had only to look at nearby golf courses being maintained by IGM to see the problems with Ludlow’s playing appeal. In turn, they recently signed a five-year contract with IGM to restore the golf course to a higher standard. Ludlow Country Club is an 18-hole, Donald Ross designed course built in 1921, that was suffering from a lack of consistent, professional maintenance practices. IGM, a comprehensive golf course maintenance provider, is well-known in the western Massachusetts golf community, and manages the maintenance for three nearby courses and a fourth in the state. IGM’s professional agronomic experience and knowledge of the Massachusetts climate made the company an ideal fit for Ludlow Country Club. To discuss IGM’s complete services or to request a maintenance proposal, please contact Greg Plotner, Executive Vice President, 407-589-7200, or click here.